We all know that we should reduce our sugar intake. Too much processed sugar is linked to inflammation, disease, bad skin, weight gain, and lowered immunity. It’s not fun or easy to give up our favorite sweet treats. 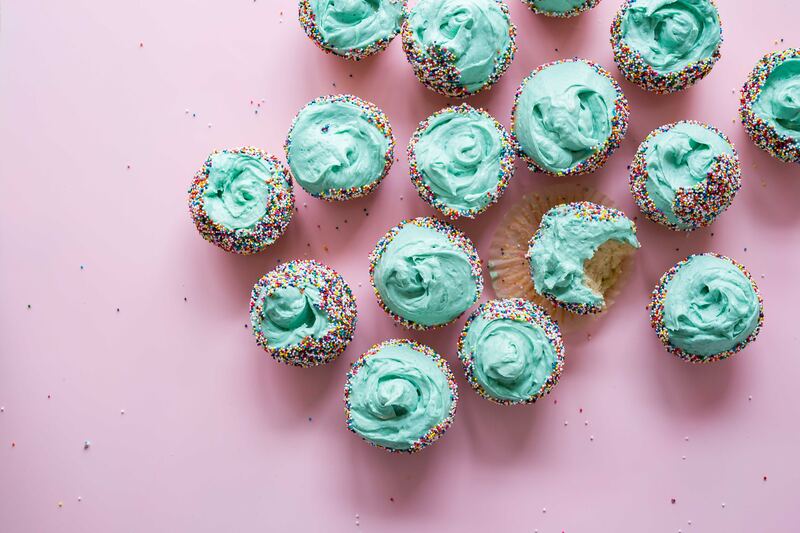 Trust me, as a certified nutritionist and girl with a MAJOR sweet tooth, I understand the struggles of wanting to eat ALL the sweets but also wanting to avoid all that processed sugar. That being said, I’m a huge believer in moderation and never depriving yourself of things you love. After all, you want your healthy choices to become a lifestyle, not just another short-term crash diet or desperate attempt to lose a few pounds. So how do you limit processed sugar while still enjoying foods you like? Use healthier alternatives to sugar instead! For example, let’s say you LOVE ooey gooey chocolatey brownies. Well, instead of getting the boxed kind that can carry as much as 21g of sugar per brownie, try making a healthier version using raw honey, stevia, or pure maple syrup. Or if you like your hot cocoa or coffee sweet, choose stevia to sweeten it instead of Splenda or regular sugar. Here are my favorite healthiest sugar alternatives followed by not so great options. Raw honey is different from normal commercialized honey. Raw honey is pure, unfiltered, and unpasteurized while non-raw honey can have additives and could come from bees treated with antibiotics. Since raw honey doesn’t get heated above a certain temperature, it keeps its antioxidants and healing properties and maintains a low glycemic index. Other benefits of raw honey include antibacterial and antiviral properties and disease-fighting antioxidants. Raw honey also makes a great natural aid for allergies and sore throats! Like raw honey, pure maple syrup (not the fake high fructose corn syrup crap) has a lower GI than sugar and contains antioxidants and other trace minerals. Raw honey has a lower GI than pure maple syrup, but it still makes a better sweetener than table sugar in your recipes. Stevia comes from the stevia plant, found in South American countries like Brazil and Paraguay. Stevia contains no calories and does not have any impact on blood sugar levels making it a great sugar substitute for just about everything. Find a product that contains a very concentrated form. You’ll know it is because you’ll need very little to replace sugar. Pure stevia is up to 300Xs sweeter than sugar, so usually, one tablespoon of stevia can replace one cup of regular sugar in baking. I like stevia because it’s easy to use and easily replace sugar. Some people can taste a little bitterness or aftertaste with stevia, but I’ve never been bothered by it. You’ve probably found agave in health food stores and may have even heard that it’s a healthy sweetener like raw honey. Agave in its pure form does contain some good health properties, but you won’t find that in any you can buy in the store. Unfortunately, because of how agave is processed, it’s essentially expensive high fructose corn syrup. Fructose is arguably the most damaging form of sugar. It can cause insulin resistance and raise triglycerides, a serious problem if heart health is important to you. So do yourself a favor and avoid agave! Another popular and seemingly “healthy” sugar alternative is coconut sugar. I mean, we’ve learned in the past few decades that pretty much everything from the coconut is good for us so that means the sugar is good too right? Not really. Compared to regular sugar, there’s not much difference between the two. Coconut sugar is 78% normal sugar chemically. Coconut sugar has a slightly lower GI than normal table sugar and some nutrients, but not enough for me to put it on my “good” list. Aspartame is an artificial sweetener found in diet sodas and other zero sugar products. The problem with aspartame is that like most artificial sweeteners, it has damning evidence against it, but not enough to prove that it’s really harmful. Whether these studies are proof enough or not, I think it’s best to stay away from substances that even have the potential to cause serious problems. Aspartame goes by the brand names of NutraSweet and Equal and is in your Diet Coke. So do yourself a favor and avoid it! Sucralose (Splenda) is another artificial sweetener that is used in many “diet” products and sugar-free foods. It’s become more popular since aspartame has more negativity surrounding it, but in reality, I don’t think it’s any better. Sucralose studies have found that it can reduce the number of good bacteria in your gut up to 50 percent. I’ll save my gut discussion for another blog, but you guys, YOUR GUT HEALTH IS EVERYTHING! If the bacteria in your gut is unbalanced, you’re going to deal with some seriously sucky health problems like IBS, autoimmune diseases, thyroid problems, bad skin, mood issues, and more. Again, there is not enough evidence against Sucralose to completely condemn it, it’s just too new. but If there’s a chance it can harm your gut, don’t take that chance! Sucralose is found in many “health” products and supplements. So read your labels! I’ll be honest, I own a few products that contain Sucralose but I don’t take them every day. I treat them like I do sugar and try to consume them in moderation. Eating less sugar doesn’t mean you have to go on a crazy crash diet or never eat a donut again. Enjoy your favorite foods in moderation and try to use the healthiest sugar substitutes I’ve discussed. The 80/20 rule is a good rule to follow too. If you’re eating healthy, nutrient-packed, REAL food 80% of the time, then don’t be afraid to indulge in some not so healthy options the other 20%. Life is meant to be enjoyed so make small changes you can keep up for the long term. You’ll live healthier, be happier, and still get to enjoy the sweet things life has to offer! If you need some healthy sweet treat recipes, check out my favorites here!